The Worlds Strongest Man qualifying tour came through Martsinville Indiana with 12 men competing to get on to the podium and qualify for the Worlds Strongest Man 2019. Laurence Shahlaei took home first place with just 7 points separating 2nd-8th! 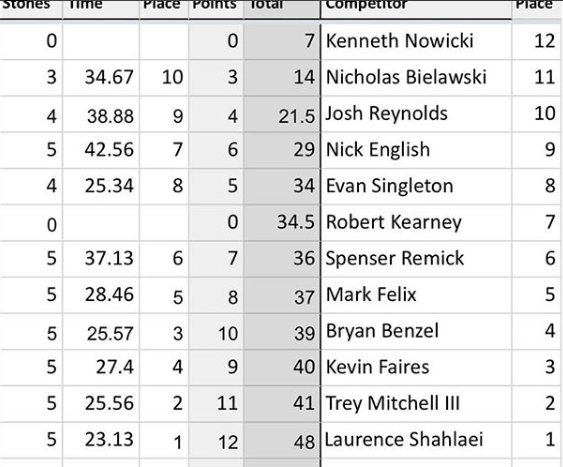 With that close of a points gap and just the top 3 qualifying for Worlds Strongest Man it was close but Trey Mitchell took second and Kevin Faires third to earn their spots in 2019.